Jump onstage at the Brooks Atkinson Theatre with the cast of Waitress – currently lead by American Idol’s Katharine McPhee! McPhee plays Jenna, a waitress and expert pie maker, is stuck in a small town and a loveless marriage. When a baking contest in a nearby county offers her a chance at escape, Jenna must weigh her commitments against a rare shot at freedom and recognition. Her customers, co-workers, and the town’s handsome new doctor all offer her conflicting recipes for happiness – but Jenna must ultimately decide for herself. 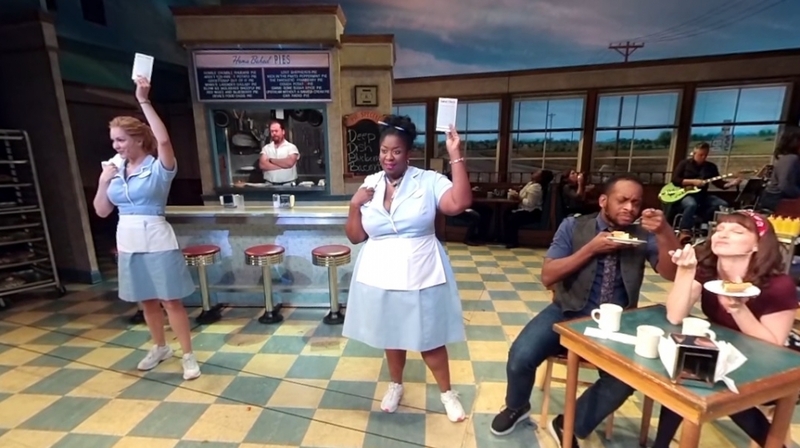 In this 360 degree video, explore Joe’s Pie Diner and join the cast for “Opening Up.” Then, click on the link above to book your tickets to Waitress!